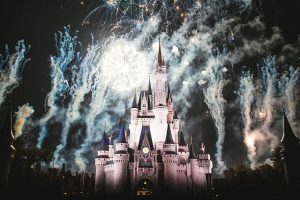 These changes, not surprisingly, draw huge crowds to Walt Disney World in November and December. These crowds can make it difficult to see parades, explore the shops, and get a good view of the new nighttime projection show recently unveiled, titled “Once Upon a Time.” To help guests have a more intimate experience, and to monetize the experience, Disney created the Very Merry Christmas Party, which is an event that begins at 7 PM and runs until Midnight. It costs between $86 and $99 for adults and $81 and $94 for children, depending upon when in November or December you go. But this party allows a more intimate view of the parades, the characters, and the park. There are special character meet and greets special events and reduced lines due to the reduced crowds. If this is an event you are considering attending, be sure to do your research on when to go. If you plan to stay on property, for instance, a one week difference in when you schedule your vacation can result in a substantial difference in cost, as some weeks (like the week after Thanksgiving or the week between Christmas and New Year’s) are considered peak, and others are non-peak. By remaining flexible in your travel plans, you can find a great deal at any of the on-property hotels. Whether you plan to go this year, or are looking at going next year, be sure you do your homework and plan out your time during the party. Otherwise, you will find yourself spending more time looking for something to do than doing anything, which can lead to a disappointing experience. And when in doubt, ask a cast member for help – they are more than happy to point you in the direction of the best viewing spots for events or parades or to point out a hidden gem during the event.